Boxing legend Floyd Money Mayweather was spied at the Barclays Center last night enjoying a Brooklyn Nets Game. 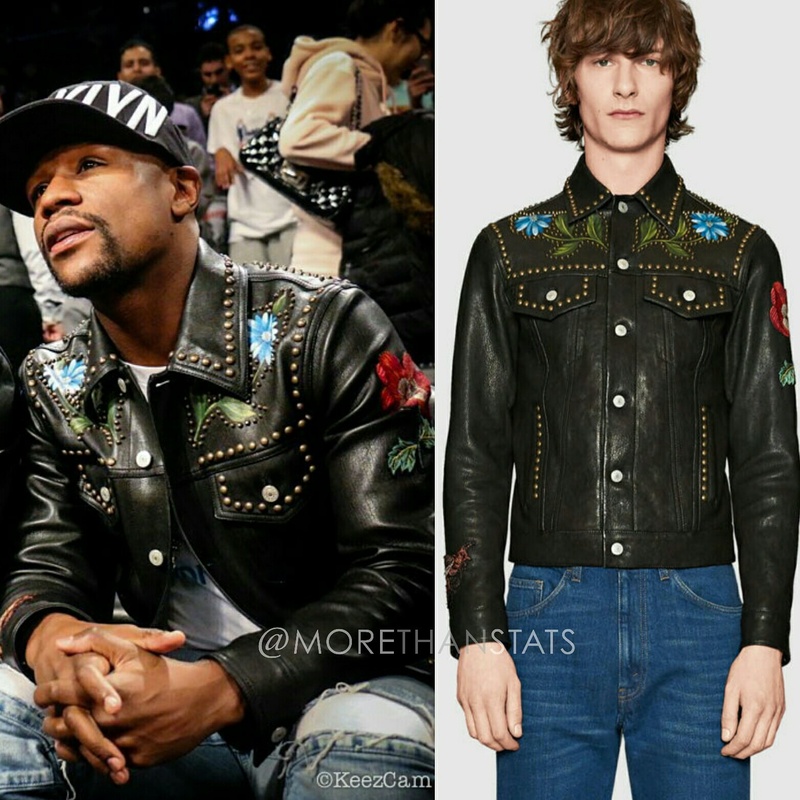 The undefeated champ was seated courtside wearing a $6,690 Mens Gucci painted leather fashion jacket. 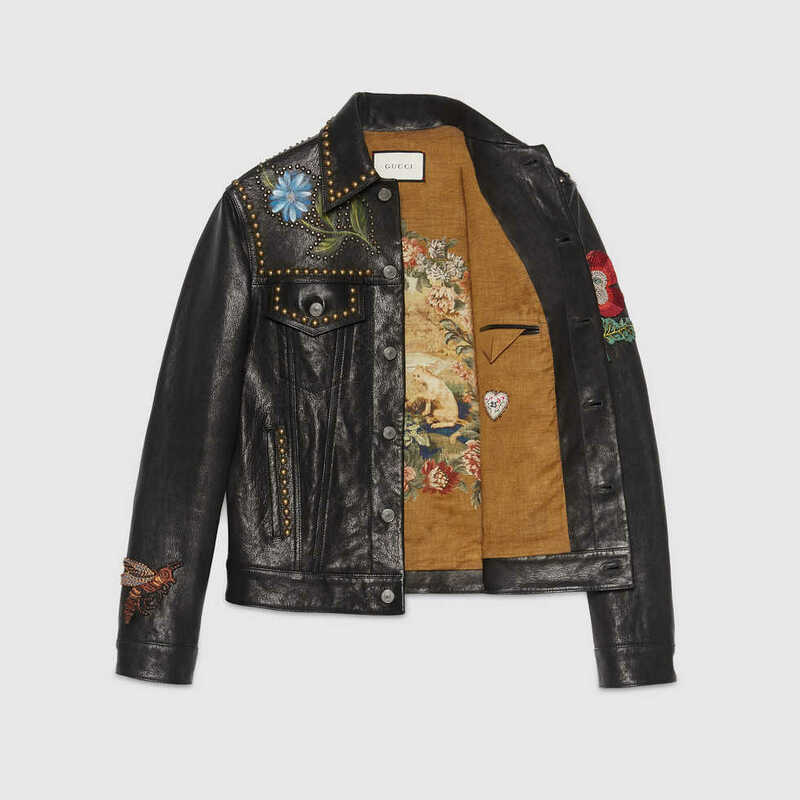 The mens embroidered jacket is embellished with hand-painted florals and accented with studs. At the back is a beautifully embroidered butterfly appliqué.